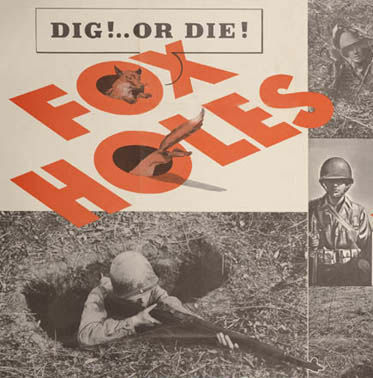 The 2nd foxhole meeting is steadily approaching. foxhole meetings aspire to assist independent curators and self-organized entities; the project is interested in creating and supporting its own safe zone or “foxhole” of self-sufficiency in Stockholm. Note: All meetings are open to the general public. Feel free to stop by and introduce yourself! Fika & refreshments await. Aura Seikkula (b. 1977) is an independent curator and researcher based in Stockholm. She is a guest curator at the Centre for Contemporary Art in Lagos Nigeria and Doctoral candidate in cultural policies at the University of Jyväskylä. Current and recent projects include KOPIOITU a residency and exhibition program with Komplot Brussels and SIC Helsinki (2013); Show Your Sisu TV parody and performance event at the Baltic Circle Theater Festival (2012); the 6th Momentum Biennial Imagine Being Here Now, Moss Norway (2011); J.D. Okhai Ojeikere: Moments of Beauty survey exhibition for the Centre for Contemporary Art Lagos and ARS 11 at Kiasma Helsinki (2011); Nordic Art Today, Loft Project Etagi, St Petersburg Russia (2011); Urban Studies event series and residency program in Shanghai (2010-2011); On Independence and the Ambivalence of Promise residency and exhibition program, Centre for Contemporary Art Lagos (2010). Seikkula has worked in curatorial positions at the Künstlerhaus Bethaninen, Berlin; NIFCA Nordic Institute for Contemporary Art and Finnish Museum of Photography, Helsinki. Additionally, she has acted as guest curator and curatorial advisor in various contemporary art organizations. Seikkula is an associate curator at the Artist Pension Trust Ltd, the co-founder of SKY Finnish Society for Curators and member of the Finnish Arts Council’s Media Art Board. Ulrika Sparre (b. 1974) lives and works in Stockholm and is educated at Konstfack (Stockholm) and Gerrit Rietveld Academie (Amsterdam). Sparre works with installation, sculpture, photography, video, performance and sound. She has, among others, exhibited at Färgfabriken, Stene Projects, Gallery Niklas Belenius, Reykjavik Art Museum, Interactive Institute and has also undertaken a number of public projects. In 2012, Sparre participated in the exhibition European Horizons at the Tina B Contemporary Art Festival, Prague, as well as Independent People at the Reykjavik Arts Festival. She investigates the mechanisms, behaviors and social pattern that constitute our lives; her artistic practise explores subjects like individuality and the impact of the development towards individualism and consumerism in contemporary society. Sparre is interested in how non-religious and scientific beliefs are expressed in the secularized Western society of today; her starting point is how individualistic belief in oneself has replaced religious beliefs.